WLAD joined a laundry list of other participants in the 109th Annual Rhododendron Festival parade in Florence today. 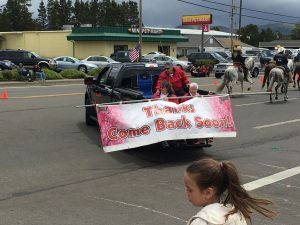 The parade began around noon and lasted for a couple of hours as businesses, agencies, armed forces, schools, and other participants traveled down Highway 101, as many happy faces looked on. WLAD chose to display Rescue 10, a specialized vehicle equipped for sand dunes rescue; and Medic 9, one of our inter-hospital transfer vehicles and newest ambulance. 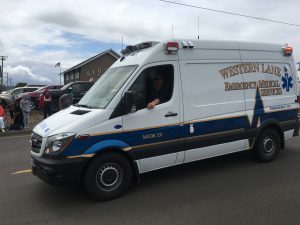 During the event, WLAD staged at designated areas north, south, and east of town for emergency medical coverage due to the congestion and limited road access. 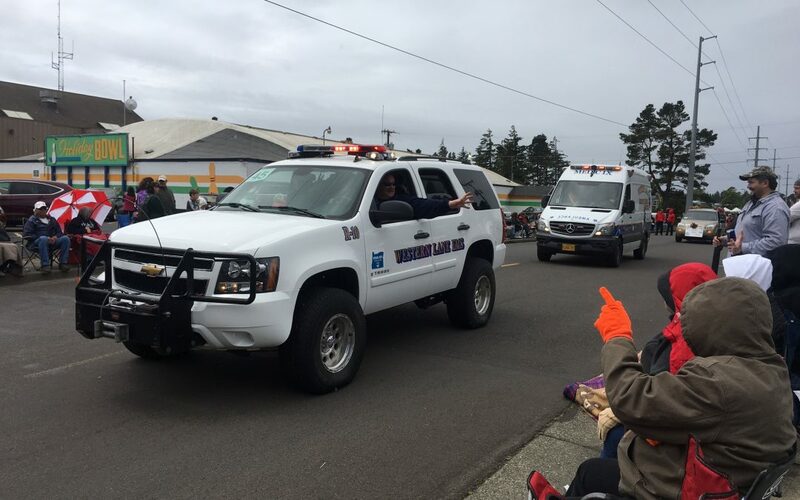 We want to thank all those involved, including the Florence Police Department and Siuslaw Valley Fire & Rescue for their excellent traffic control during this event. Emergency Medical Services are available: Twenty-Four Hours a Day, Seven Days A Week.